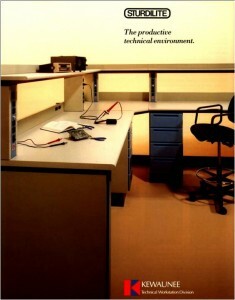 Sturdilite is a line of electronic lab workstations. 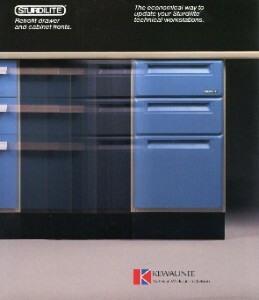 Sturdilite II was a redesign to a fully modular design with full suspension drawer slides and moulded drawer fronts. The product also included ESD (static electricity control) options.